In seven hours and twenty minutes Grace Jordan will be dead. Will she have abandoned her family in vain, or is this the start of a new journey and her chance to save us all? Transmit is a short story about an epic odyssey into the unknown. "It's a complex, satisfying read with a lot of heart and a protagonist who defies your average SF stereotype. When I reached the end I wanted more." "The premise of this book is amazing!!! this needs to be a novel. We need more pages. Please!" "I admit I liked this so much that I read it twice, mainly to be sure that I did not miss anything the first time. 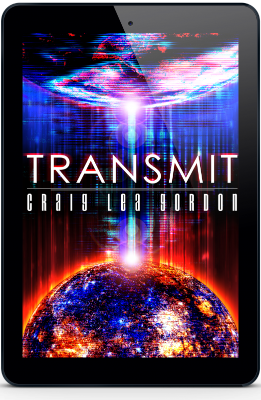 Gordon packs a huge story into this small space..."
Hit the button below to get your free copy of Transmit.